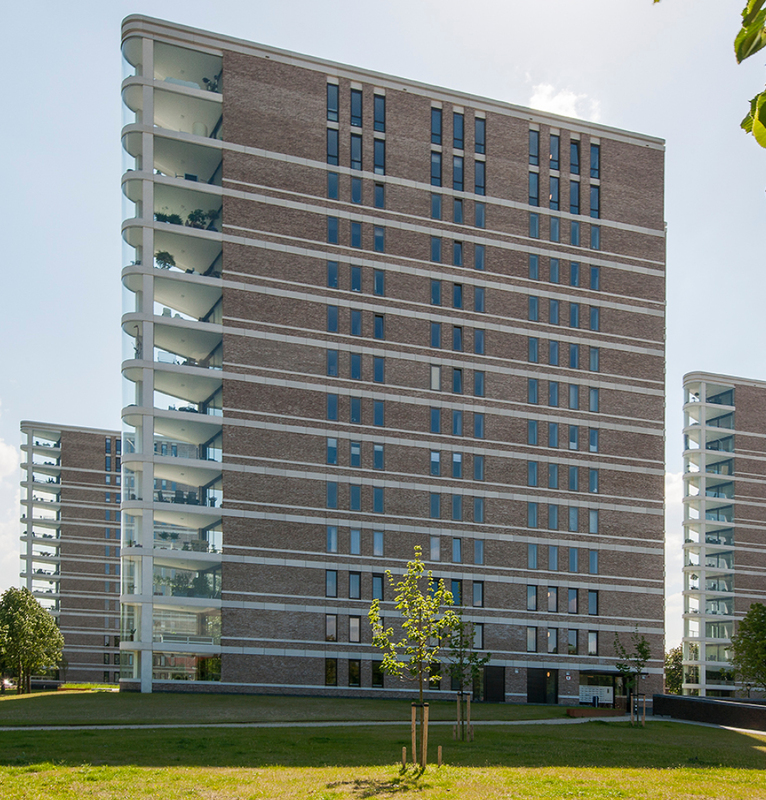 Discover below why De Amazones won the Den Bosch Architecture Award for the most talked-about project built in the period between 1995 and 2015. An accomplishment that, as a partner on this project, Duco can also be justifiably proud of! 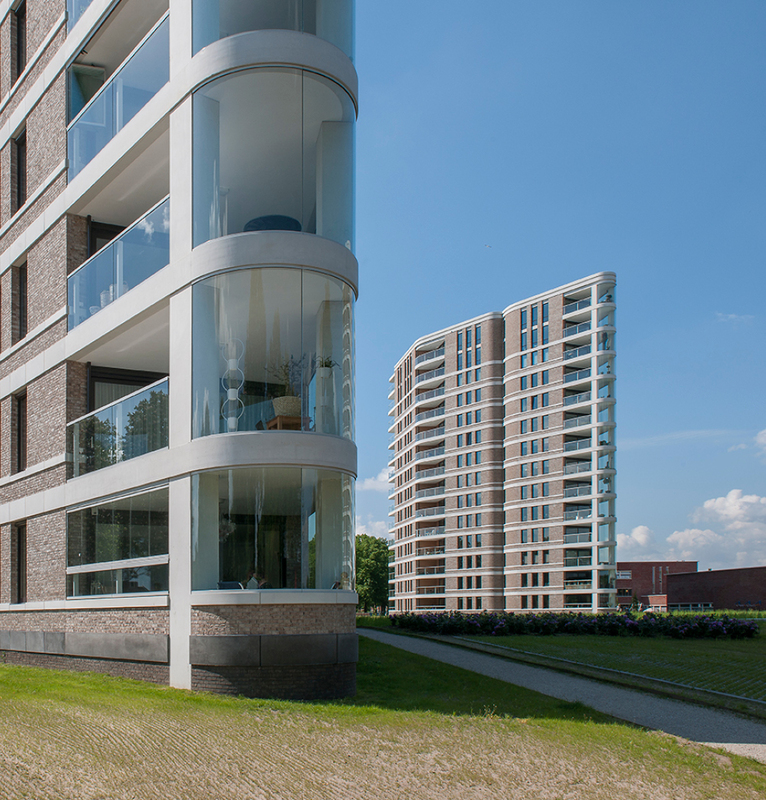 Looking out over the Prins Hendrikpark and bordering the lake de Ijzeren Vrouw we find the striking apartment complex De Amazones standing there since early 2015, an architectural pearl on the edge of the historic inner city of Den Bosch. 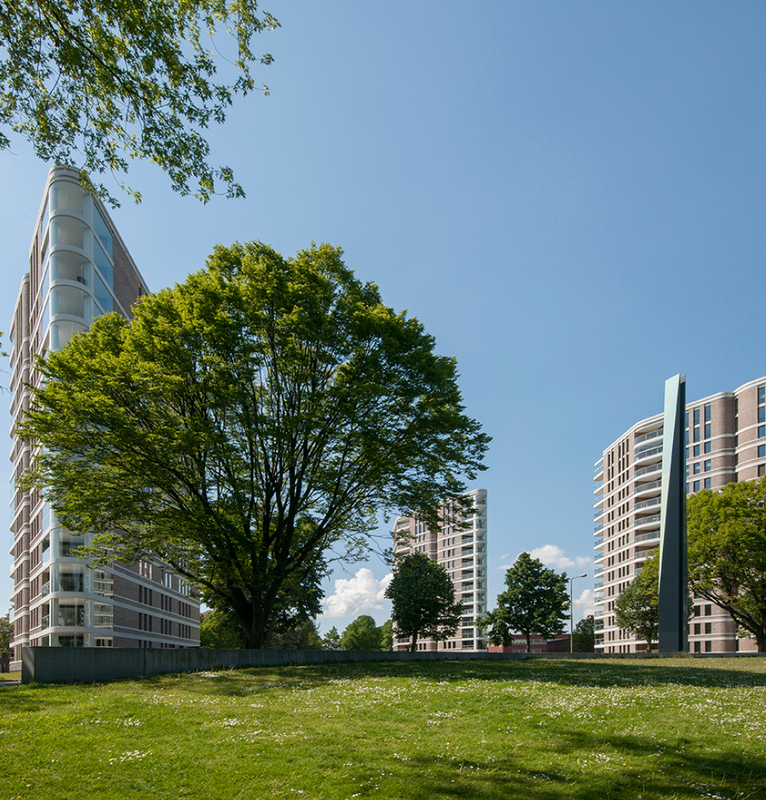 With explicit elegance and the health of its occupants as the starting point, the three tower blocks stand out clearly in this part of the city. 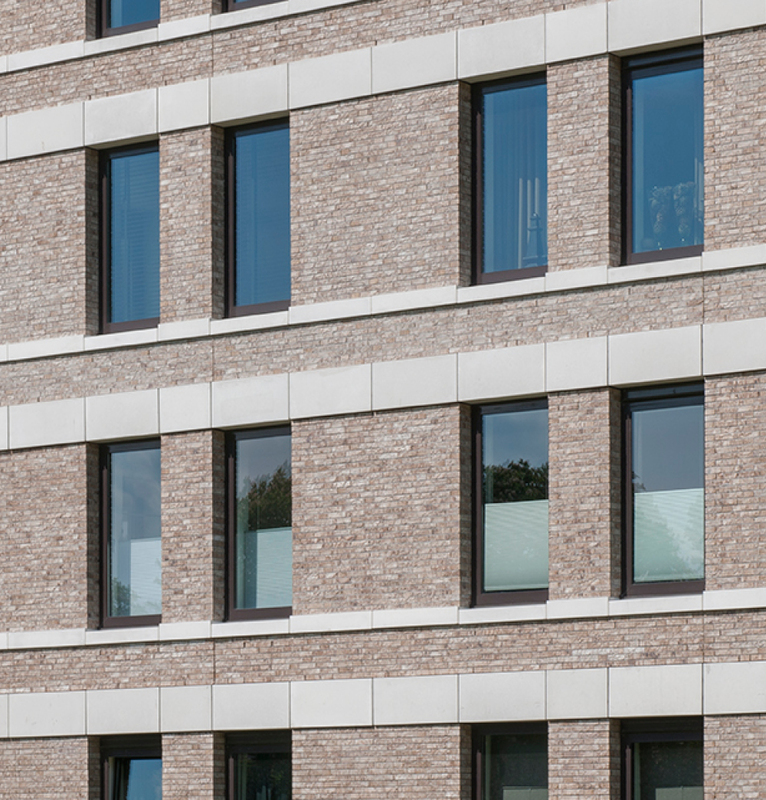 To gather more information, we consulted Dok architects who were responsible for developing this complex. 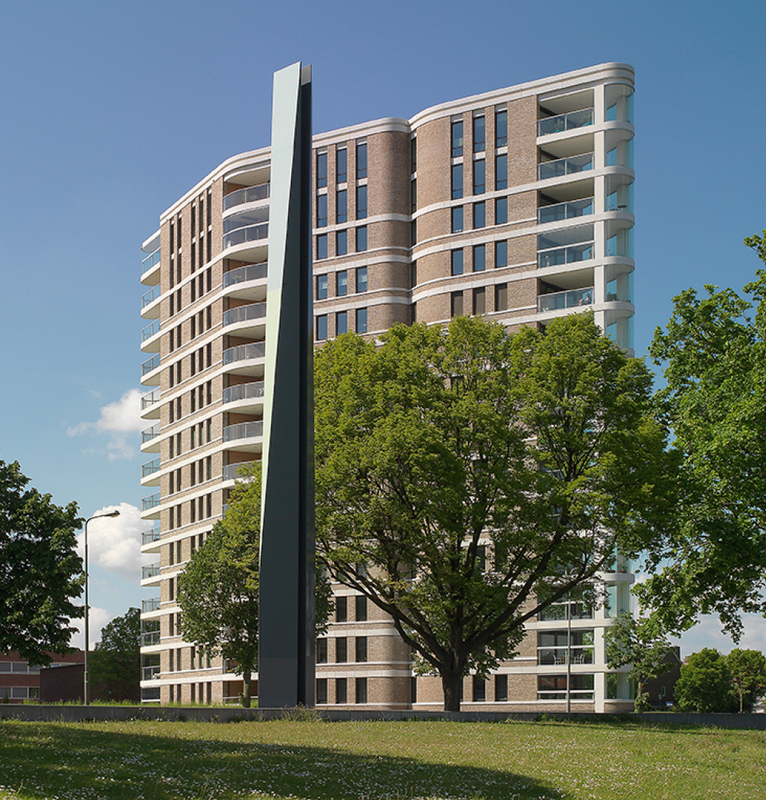 The 44-metre-high Amazones buildings range between 106 and 127 m2 of living space, housing more than ten luxuriously appointed dwelling units, spread over 13 floors, and an underground car park. 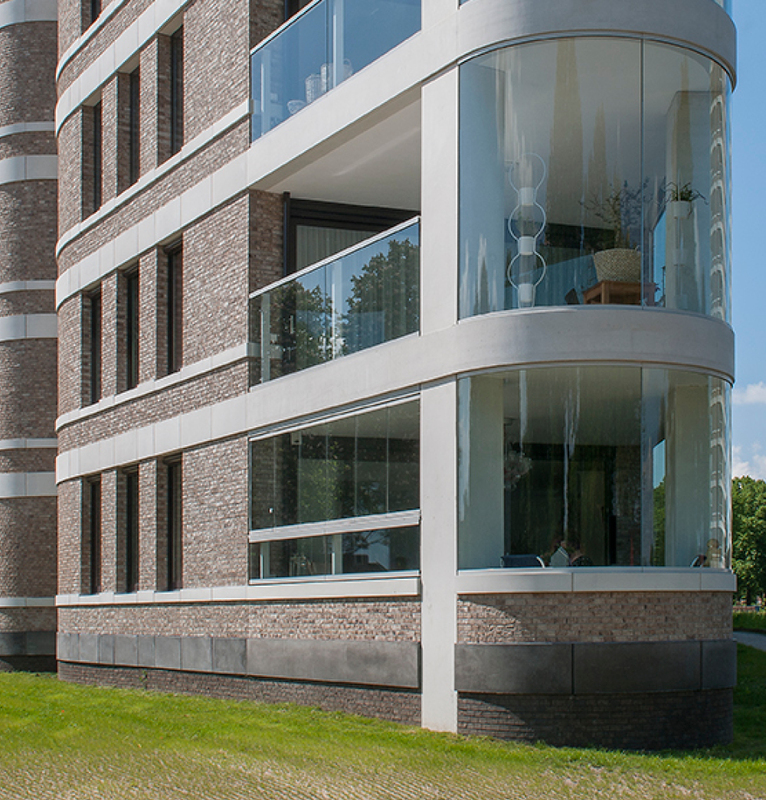 Located by the lake ‘de Ijzeren Vrouw’ [Iron Lady] on the former Agricultural College site, the apartment complex fits in seamlessly, architecturally speaking, with its rounded feminine shapes. 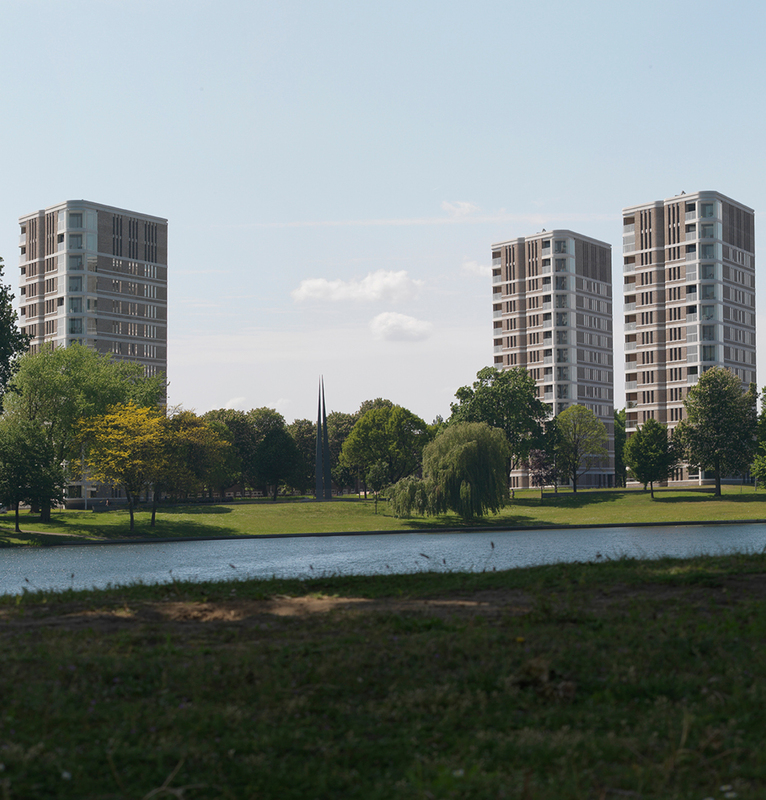 In keeping with the overall intent, the three tower blocks were named “De Amazones” [The Amazons], a reference to the warrior women in Greek mythology. 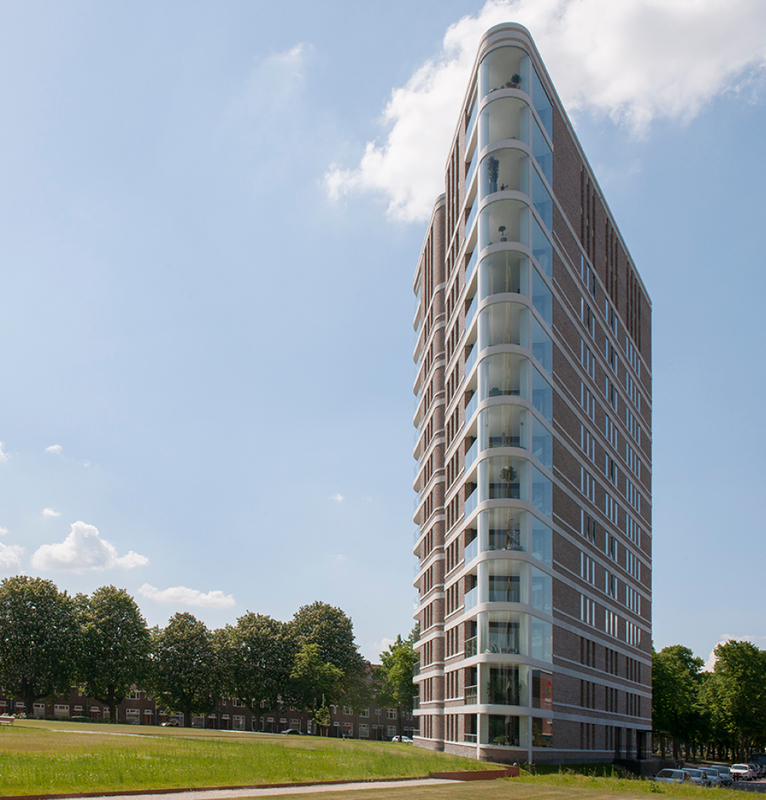 ‘Natural’ building is enjoying strong growth in the Netherlands. More and more architects are consciously opting for healthy and natural technologies. In this vein, achieving the optimum indoor climate by natural means adhering to System C principles is a hot item these days. Accordingly, indoor air quality has a crucial impact on the quality of our health. An agreeable indoor climate however is not a superfluous luxury for the occupants, which is certainly the case where large areas of glazing are involved. 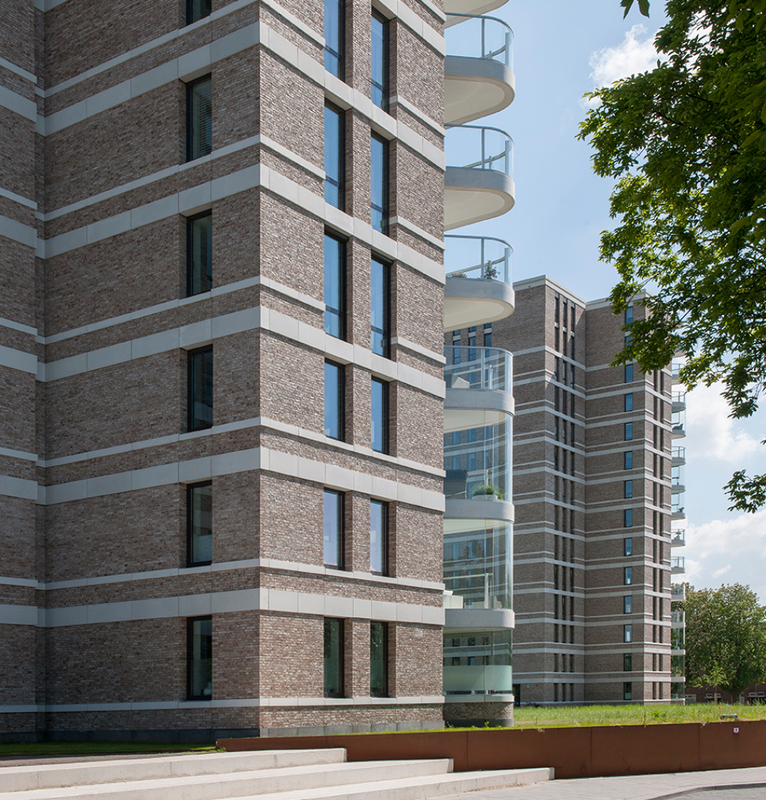 All in all, therefore, it was entire fitting that De Amazones should have won the Den Bosch Architecture Award for the most talked-about project built in the period between 1995 and 2015. An accomplishment that, as a partner on this project, Duco can also be justifiably proud of!